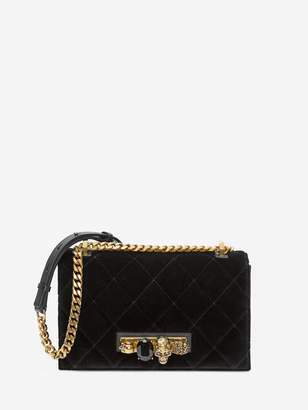 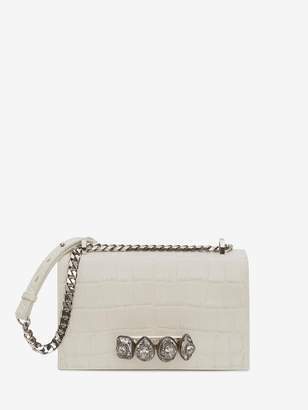 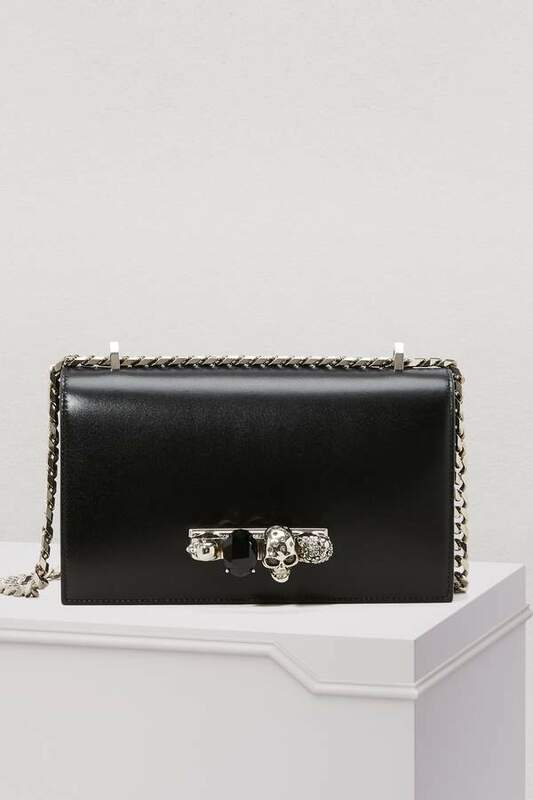 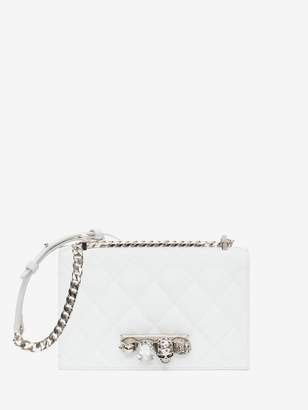 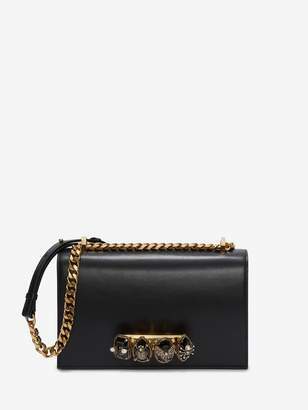 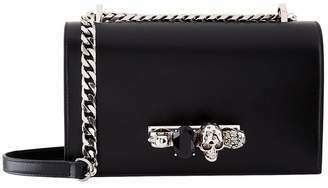 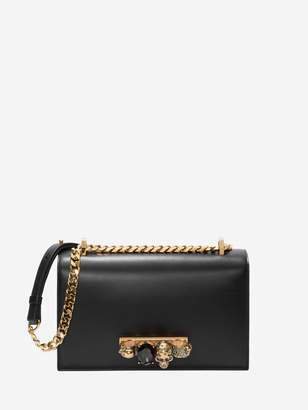 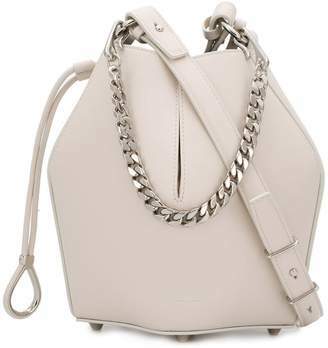 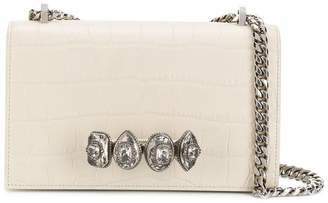 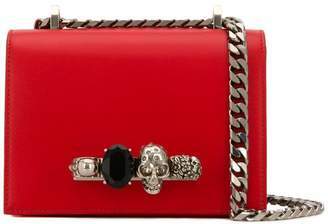 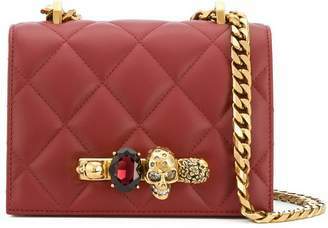 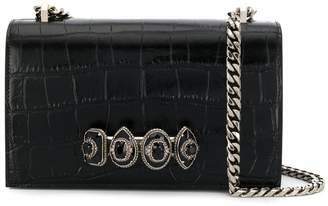 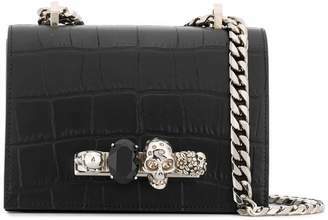 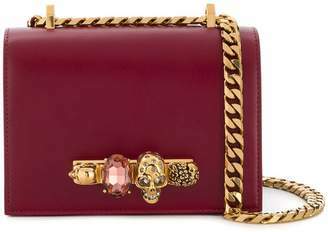 Embrace Alexander McQueen's romantic, gothic style with this jeweled shoulder bag. 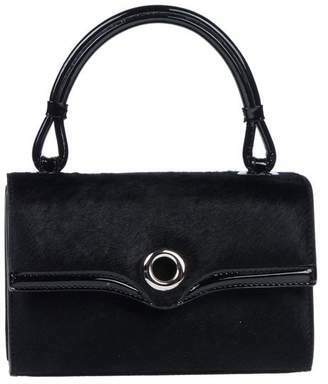 With its proud tradition of craftsmanship, the fashion house designed this accessory in smooth leather with a deep hue and meticulous details. 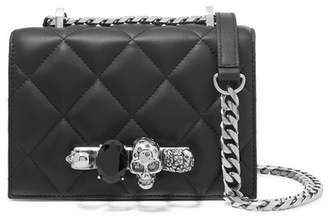 The grunge and rebellious touch is seen in the chain and fastening on the flap enhanced with a stone, a skull, and other unique decorations.